On continues the rains and my unending worries that we will wake up, once again, to our apartment surrounded on all four sides by water. The flood watch remains in effect until Saturday so, until then, I will just continue to worry. 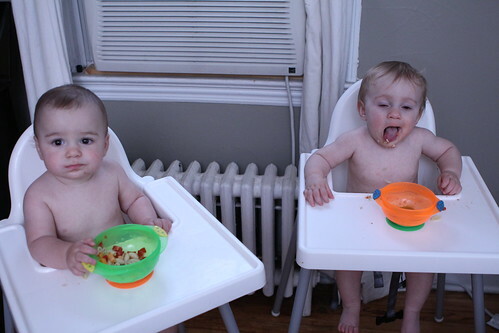 It continued on Tuesday when I fed the Bubses their food after work and they made a holy mess of the place. 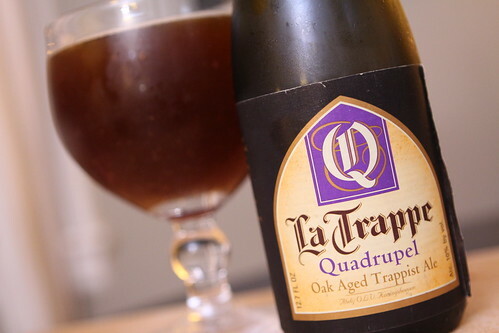 It rained all night, even after I got the Bubses to bed and enjoyed this fantastic oak aged quadruple from the Trappist brewery Le Trappe, the only Trappist Brewery in Holland. This is a fantastic beer for a cold night in December, or a miserable rainy night in what must be the wettest, nastiest June of my life. Yesterday Elliott got to crawling everywhere and it was all I could do to contain both of them as I struggled to put together dinner. As we drove home I saw him squinting in the backseat and I couldn't figure out why since I'd put down his canopy to block the sun from his eyes. Then I realized that he had somehow pulled the shade free and repurposed it as some sort of waist guard. 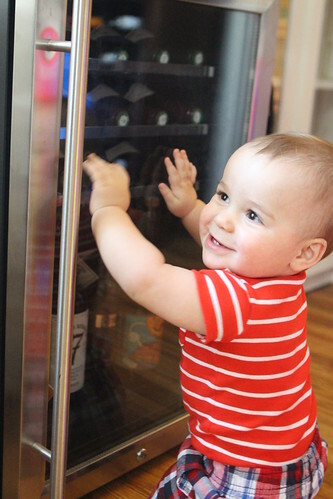 He continued at home by becoming fascinated with our wine/beer fridge and attempting to liberate its contents. 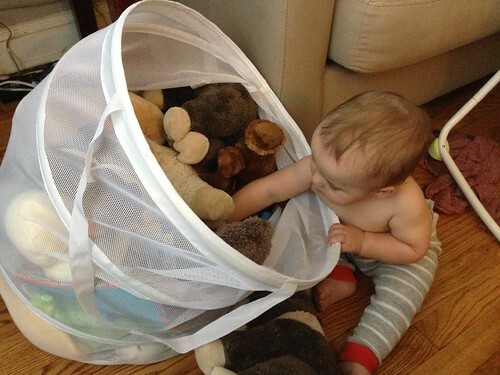 And finally he discovered that he could pull down the container for their toys and that nothing would be more fun than taking out all of its contents one-by-one to scatter them about the room. 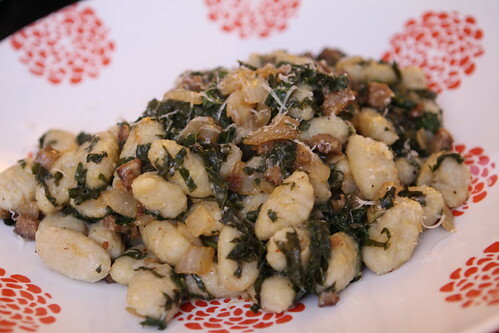 After we finally coaxed them to bed I made this gnocchi with kale from the farm, onion, garlic, andouille from the freezer, olive oil, butter, and grated Parmigiano-Reggiano. 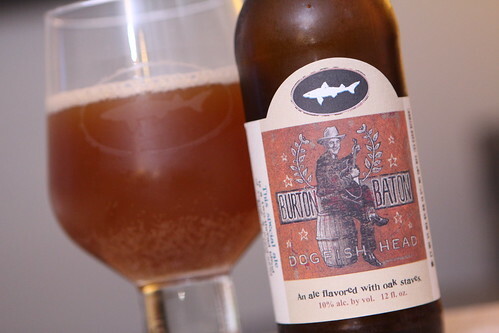 I also opened this 2011 bottle of Burton Baton from Dogfish Head. It was a nice oaked beer that only could have been better if we'd been able to have it a few hours earlier and I hadn't passed out on the couch immediately afterward. 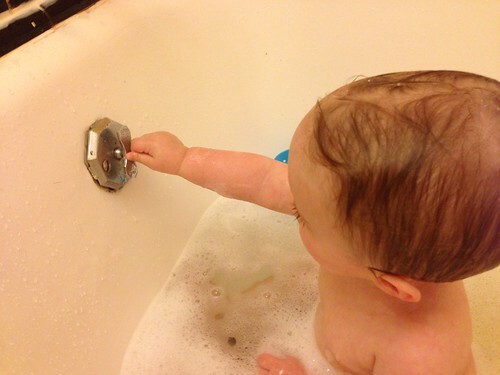 Tonight Martin was up to his own mischief as he finally discovered the secret of how to drain the tub. 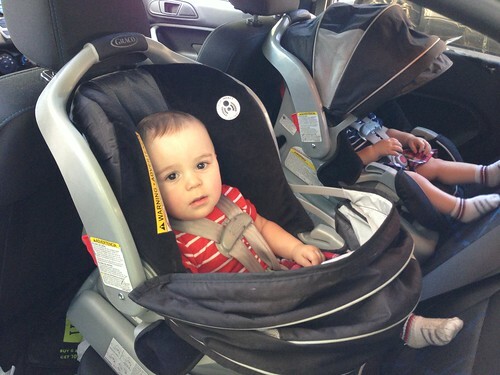 I knew this was just a matte rof time but I thought for sure Elliott would figure it out first. 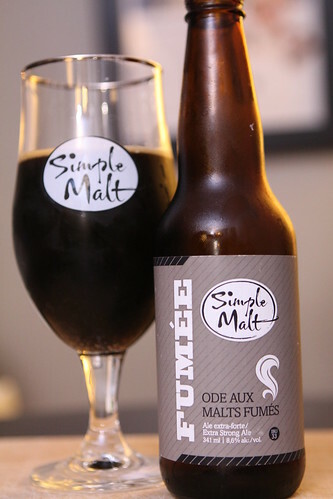 After another Wombat wrestling match where I used all my cunning to get them to sleep I had some toast for dinner and enjoyed it with this Simple Malt Fumee from Brasseurs Illimités. I haven't had a tone of smoked beers but this was probably my favorite so far. Most that I've had have been very ashy but this was very rich and almost tasted like a barbecue. I'd highly recommend it if you are passing through Quebec at any point. As I right this the streets are turning to rivers and Jen, sadly, is stuck in Manhattan trying to make it to the train in high heels. Our cars are parked high up the street in preparation for the worst. Labels: babies, beer, Cleaning out the freezer, How'd we use it?